Scheduling the mind-altering herb as a controlled substance could slow medical research. As the source of the most powerful natural hallucinogen known, salvia is drawing scrutiny from U.S. authorities who want to restrict this Mexican herb, now used recreation­ally by some. But neuro­scientists worry that controlling it before studies have determined its safety profile is premature and could hamper research of the drug’s medicinal value. Increasingly, evidence is piling up that it could lead to new and safer anti­depressants and pain relievers, as well as even help in improving treatments for such mental illnesses as schizophrenia and addiction. The plant, formally known as Salvia divinorum, has a long tradition of shamanic usage by the Mazatec people of central Mexico. Salvinorin A, the primary psychoactive component, is part of a class of naturally occurring organic chemicals called diterpenoids, and it affects neural receptors in the brain similar to those that respond to opiate painkillers such as morphine—but without euphoric and addictive properties. That is because salvinorin A binds mostly to only one type of receptor (the so-called kappa opioid receptor) and not significantly to receptors that could lead to addiction (such as the mu opioid receptor). As the popularity of salvia has risen over the past 16 years—its psychoactive properties were discovered in 1993 by Daniel Siebert, an independent ethnobotanist based in Malibu, Calif.—calls to treat the plant as an illegal drug have grown louder. Twelve states have recently placed S. divinorum in their most restrictive controlled substance category, and four others have laws restricting sales. 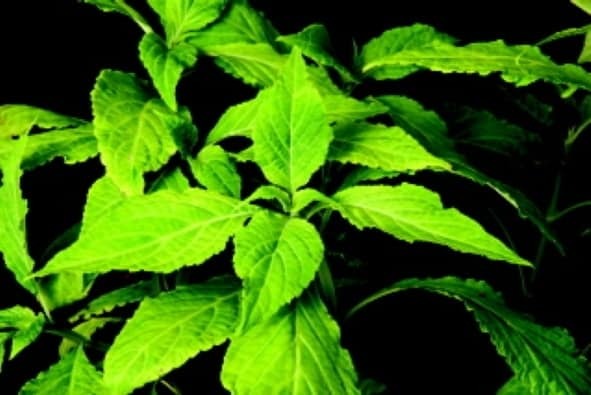 The U.S. Drug Enforcement Administration has listed salvia as “a drug of concern” and is looking into the drug to determine whether it should be declared a Schedule I controlled substance, on par with heroin and LSD. The unusual properties of salvinorin A intrigue scientists. Psychiatric researcher Bruce Cohen and his colleagues at Harvard Medical School have been developing analogues of salvinorin A and studying their possible mood-modulating properties. The team’s work with salvinorin A in animals suggests “that a drug that would block kappa opioid receptors might be an antidepressant drug—probably a nonaddictive one—or a mood stabilizer for patients with bipolar disorder,” Cohen remarks. By activating the kappa opioid receptors, drugs such as salvinorin A could reduce dependence on stimulants and the mood-elevating and mood-rewarding effects of cocaine. Because salvinorin A can produce distortions of thinking and perception, researchers speculate that blocking the receptors might alleviate some symptoms of psychoses and dissociative disorders. But if salvinorin A becomes a federally scheduled drug, research on it would become “much more difficult,” predicts Rick Doblin, director of the Multidisciplinary Association for Psychedelic Studies, a nonprofit based in Santa Cruz, ­Calif. Prisinzano agrees, saying that “there will be a lot more paperwork involved,” subsequently making approval for clinical studies harder to obtain. For example, human studies with LSD were essentially blocked for more than 35 years because of federal restrictions, and currently only one human study with LSD is being conducted in the world. As Doblin puts it, approval boards at universities and research institutions view proposals involving criminalized drugs with extreme caution. “And funders are reluctant to look at potentially beneficial uses of drugs of abuse,” he adds. Right now only two labs conduct human studies with salvinorin A: one run by psychiatric researchers Deepak Cyril D’Souza and Mohini Ranganathan, both at the Yale University School of Medicine, and the other by pharmacologist John Mendelson of the University of California, San Francisco. Both groups are performing preliminary tests to determine how best to administer salvinorin A to human volunteers and collect basic data. D’Souza and Ranganathan argue that scheduling the drug should wait until evidence about its effects and toxicity become clear. The neuroscience community has yet to throw its collective weight behind formal battles against legal restrictions. “This has been more of a simmering back-burner than a flaming front-burner issue. Still, the issue is a serious one, with implications for policy, drug enforcement and research,” Cohen says. Many people have begun letter-writing campaigns to their representatives in Washington, D.C. Scientists as much as salvia fans undoubtedly hope that such grassroots activity could eventually alter the government’s mind.